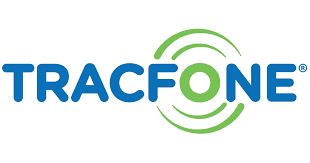 As mentioned above Tracfone offers its prepaid plans in the form of airtime cards, which range in value from 30 minutes to 1500 minutes and start as little as $10 per month. Tracfone plans minutes and service days roll over that means if you still have some minutes and some service days, when you add a new airtime card you get the card minutes and service days plus your remaining minutes and service days. Some Tracfone cell phones provide Double Minutes for Life, and other cell phones provide Triple Minutes for Life, so, you should read each device description before going to buy from Tracfone. Tracfone offers both basic phones and smartphones. Also, you may Bring Your Own Phone (BYOP), which should be a compatible device. Tracfone feature phones are the cheapest phones and start as low as $10 and include flip phones. These easy-to-use cell phones are suitable for many senior citizens. The LG 306G and the LG 530G are good examples for this type of phones. Tracfone offers Android powered smartphones and recently added several iPhone devices such as the iPhone 5S, 6, 6 Plus and iPhone SE. Also, Tracfone allows users to bring their compatible devices. Many unlocked phones and some locked phones can work with Tracfone service. But you have to go to Tracfone website to check your phone compatibility. Recommended: AARP cell phones for seniors. Recommended: Affinity Cellular reviews 2018. Many Tracfone reviews recommend Tracfone Wireless for senior citizens as it offers cheap cell phone plans for seniors who don’t need data and prefer the basic flip phones.